Tons of reactions and tributes have been pouring in for Satoru Iwata. We’ve rounded everything up in the post below, and it will be updated throughout the day.
.@Sora_Sakurai …summaries and proposals. I thought that he was the best possible leader. I pray for his happiness in the next world.
.@Harada_TEKKEN I heard the news right after getting back to Japan, and I'm at a loss for words. I owe an incredible deal to Iwata-san.
.@Harada_TEKKEN Not only Nintendo Direct and Iwata Asks, the precious time he gave me at the start of last year, talking about many topics.
.@Harada_TEKKEN I pray for his happiness in the next world.
.@YootSaito We've made a blog post in memory of Satoru Iwata. Here's a picture of when a young Iwata-san came to our company to play.
.@Sora_Sakurai It's not a normal day and it's not a normal mental state, but I came to work and threw myself into development as normal.
.@Sora_Sakurai It's also for Iwata-san. I'm doing what I have to do. We lost a great voice and passionate guiding light for the games industry today. Iwata-san, your work will live on. Thank you. We're all truly saddened by today's awful news. You will remain long in our hearts, Mr Iwata. I'll never forget how approachable Mr. Iwata was, or how quick he was to smile. Deep in your heart, his leadership always felt right. Our condolences go to the friends and family of Satoru Iwata. You'll continue to be an inspiration for us all. Rest in peace. I first met Satoru Iwata at TGS in 2005 when I interviewed him for G4. He spoke in Japanese and showed off the Nintendo Wii controller. So at the end of the interview, after the cameras were off, he turned to me and started speaking in English. "Geoff, I really liked out interview. I can tell you are a gamer so I wanted to show you something." He turned the controller sideways. He held it like an NES controller with D-pad and the A B buttons. He smiled, I think to hint at Virtual Console. I'll always remember that. I felt a great connection with him then, he wanted gamers to know that Nintendo would always think of us. He was such an honorable man. His smile said so much. He was and is one of us. He loved game, and wanted to make the world a better place with them. And he did. 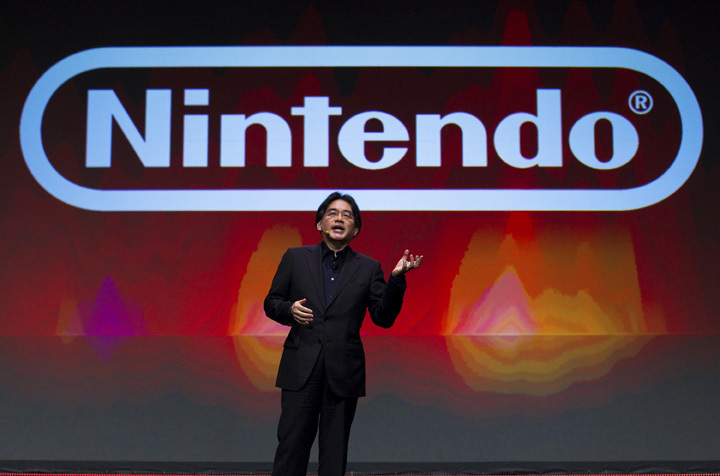 Nintendo's president Iwata-san lost his fight against cancer. My thoughts go out to all my friends at Nintendo and his family. Thank you, Mr. Iwata. I will always be grateful. I am deeply saddened by the news of the passing of Mr. Iwata. We should all say prayers for him and his family during this tough time. So sorry to hear about Mr. Iwata's passing. He was an unbelievable mind and talent, a passionate creative force. May he rest in peace. Really sad to hear about Iwata-san's passing today. As a fan of Nintendo since the NES, my heart goes out to his family, friends, & fans. We offer our sincere condolences at the loss of Nintendo president Satoru Iwata, and express our tremendous respect for his life and work. Satoru Iwata was the kind of exec you want, a passionate gamer, 'one of us'. Sorry to see him go. What an incredible legacy, though. NLG is saddened by the passing of Mr. Iwata. He was a great leader & will be truly missed. Our thoughts are w/ his family & Nintendo today. Satoru Iwata was a great leader, mentor and friend whom I will miss dearly. May we forever remember his smile and the smiles he gave us.